Heike Fink is a felting artist, originally from Germany, now living in Prud’Homme, SK. 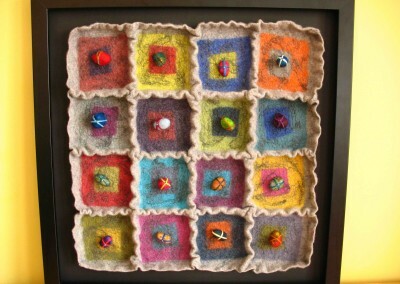 She learned the ancient art of felting in 2004 and has spent hardly a day without felting ever since. 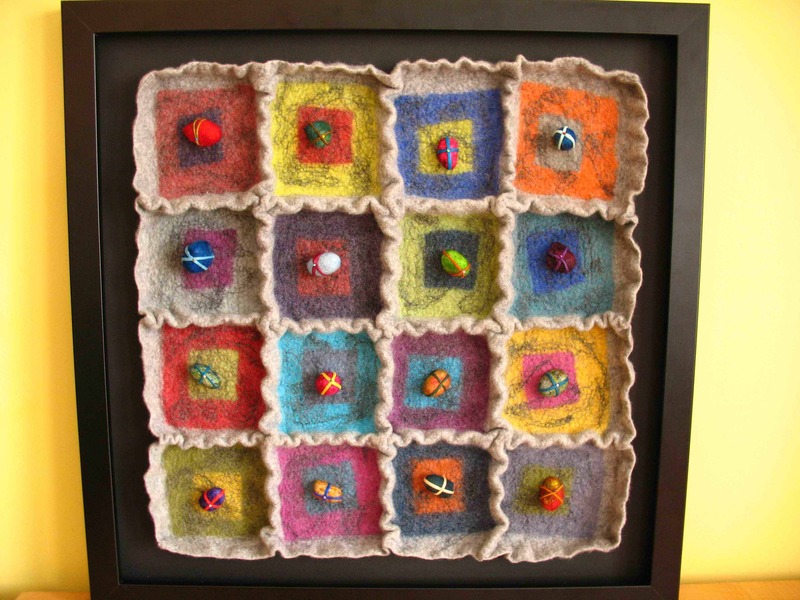 She is very fascinated by felting, since it seems almost magical how those loose fluffy wool fibres transform into a solid expressive figure. She is mostly attracted by the lightness and fluffiness of the wool, all the different colors, the smooth tactile touch and the versatility that felting offers. 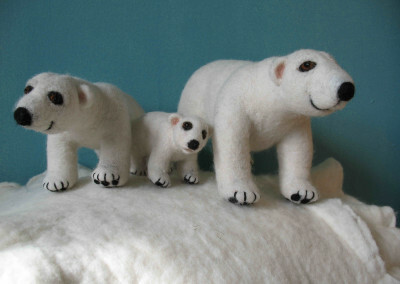 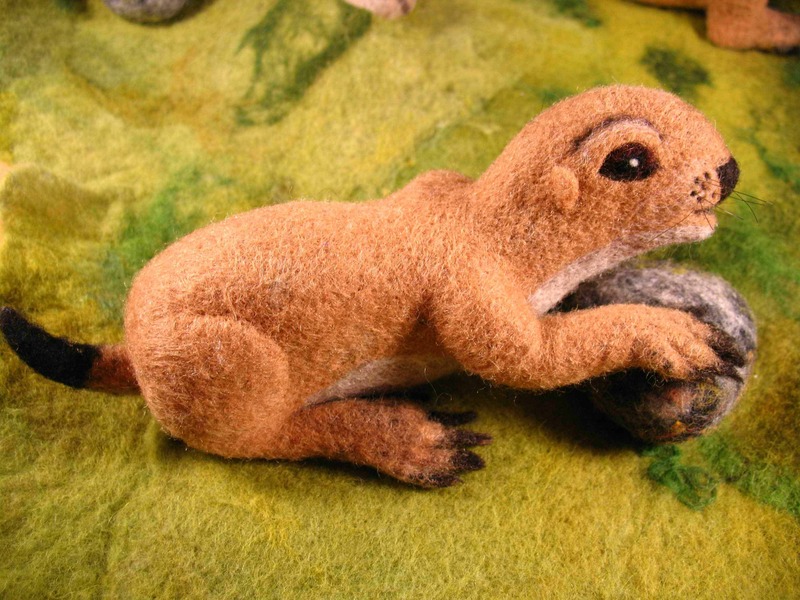 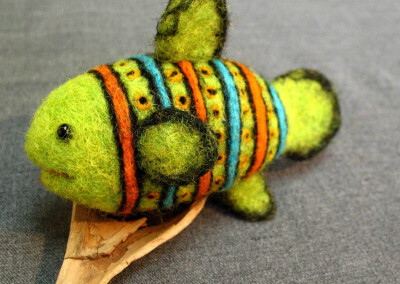 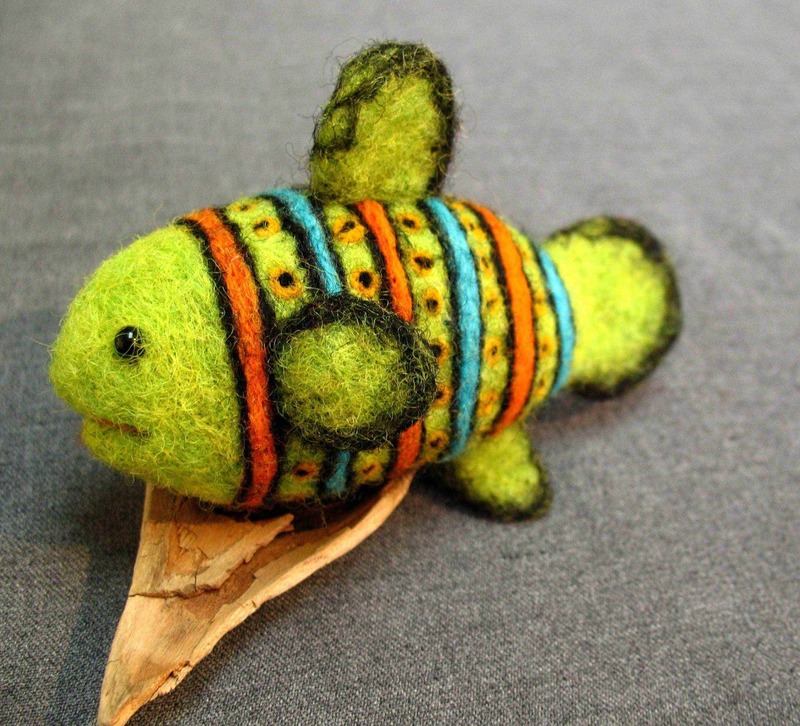 She is self-taught and has learned the art of felting with lots of experimentation. 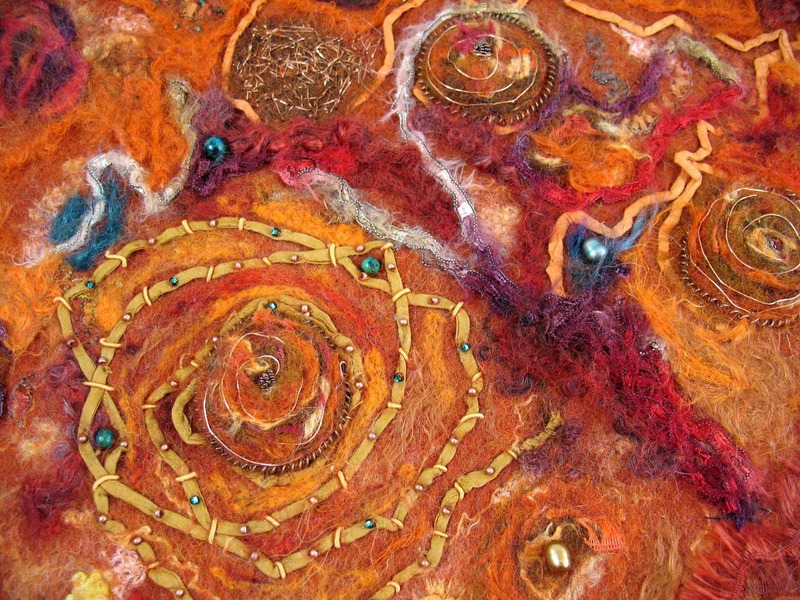 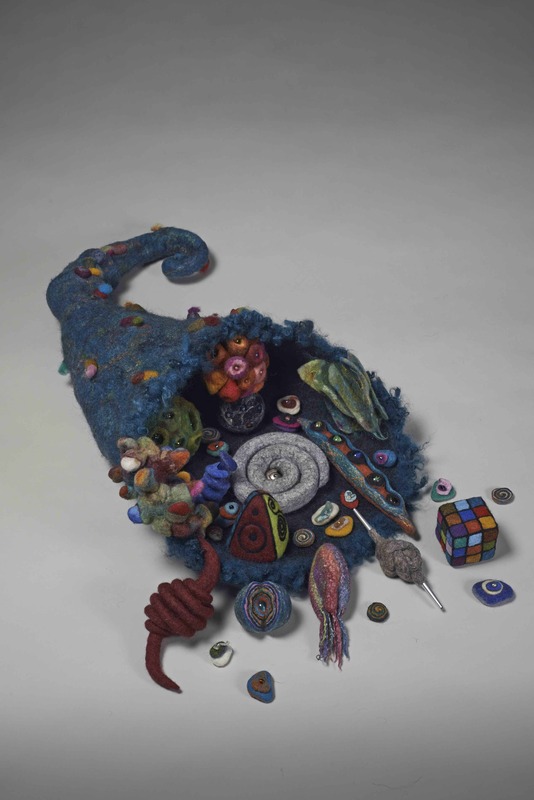 She creates her fibre art using the techniques of wet felting, needle felting and nuno felting. 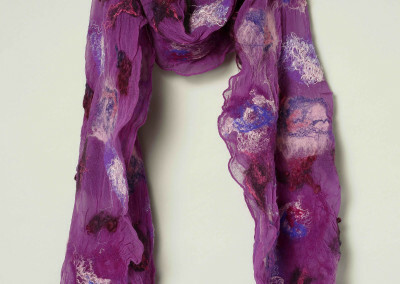 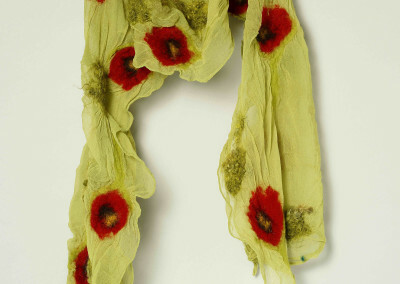 Specializing in nuno felting, she creates light, elegant and unique silk scarves. 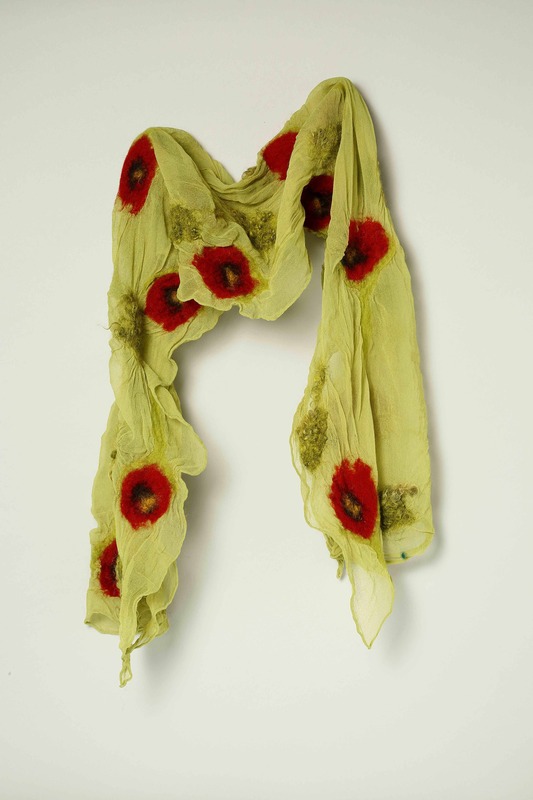 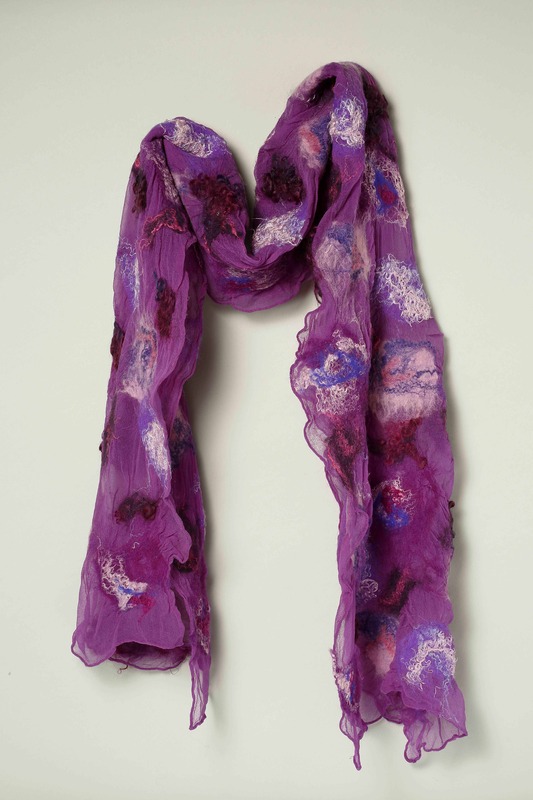 The scarves come in a great variety of colours, suitable to a wide range of fashions and individual tastes – they are simply a piece of wearable art! 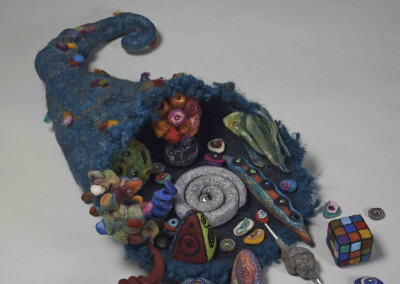 Heike also loves sculptural work and especially animal sculptures. 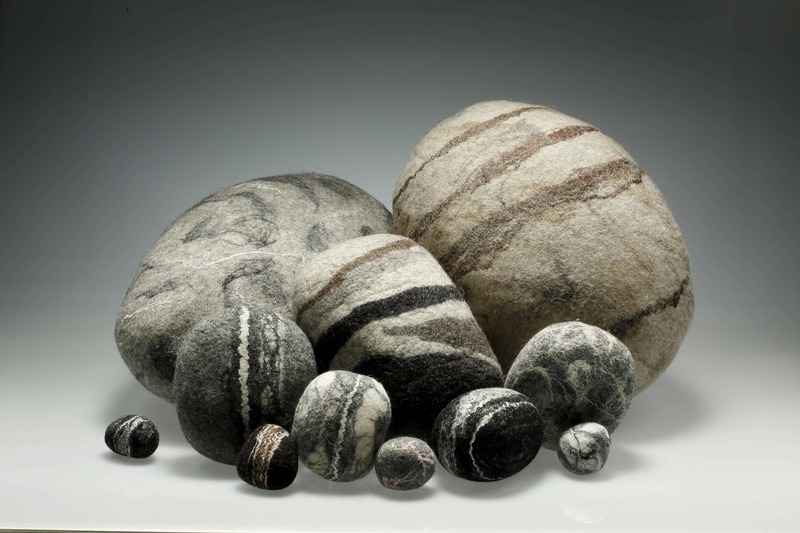 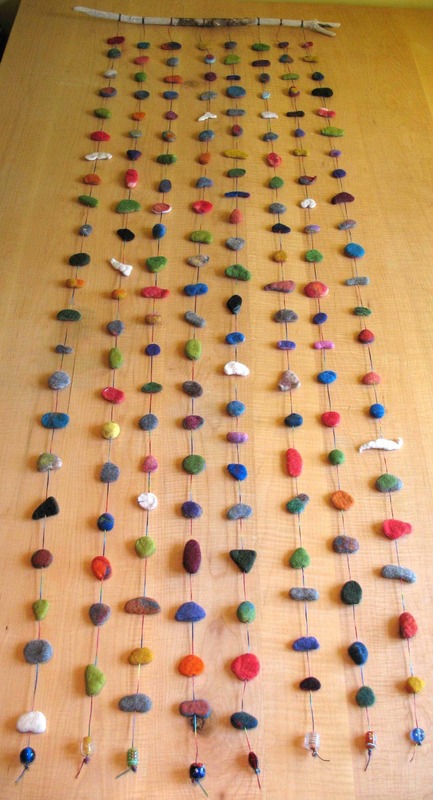 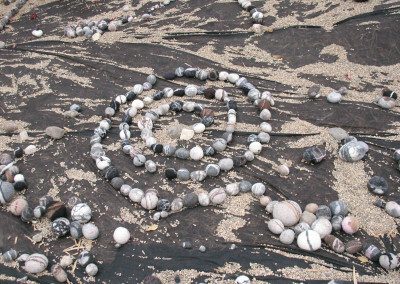 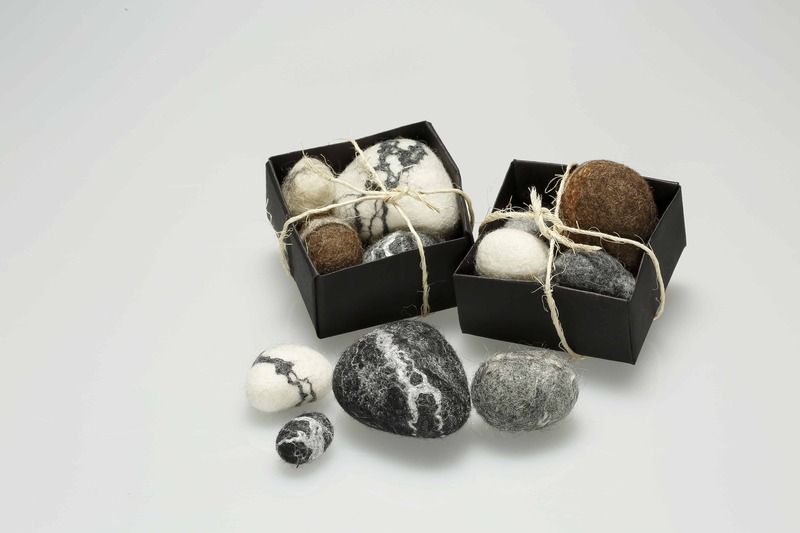 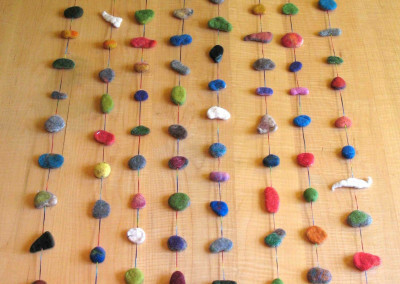 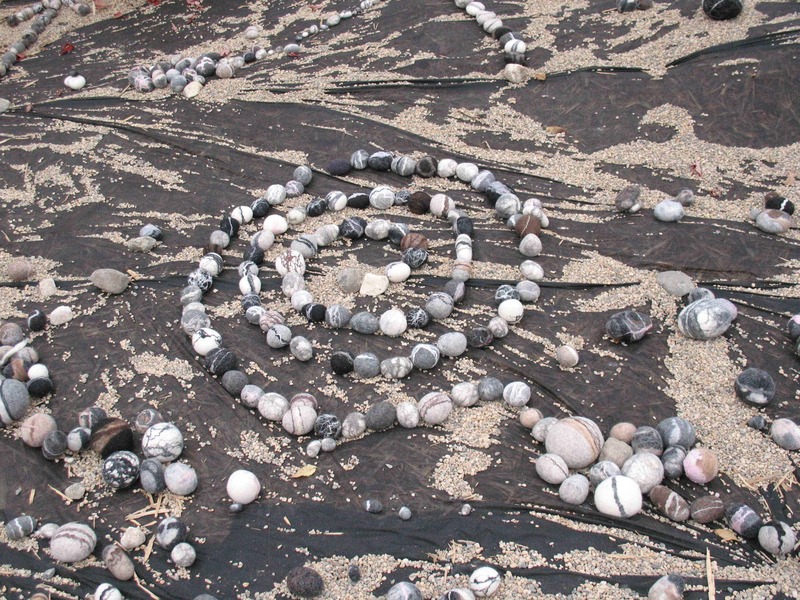 Besides animals, she creates abstract or human figures, a variety of functional craft items and a range of rocks and pebbles. She draws most of her inspiration from nature, and the abundance of nature is one reason why she moved to Canada. Her work has been displayed at various arts and crafts shows, galleries and exhibitions in Canada, the USA and Germany. 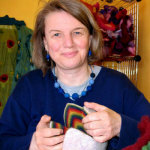 She has won several awards for her work.